Imperial Marble & Granite Importers is a natural stone supplier that specialises in high quality tiles and slabs. We have been established for over 20 years and have built relationships with the best quarries around the world. We therefore supply top grade stone and we have the expertise to help you with your requirements. We supply Marble, Granite, Quartzite, Onyx and Limestone. 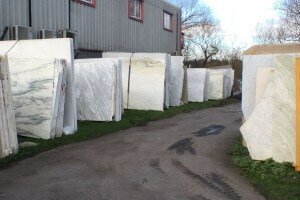 We specialise in white marble that comes from the Carrara quarries in Italy. This includes Statuary, Calacatta and Carrara marble. We have the largest stock of tiles in the UK. Our stock is available in our warehouse and yard so you can purchase your stone immediately. 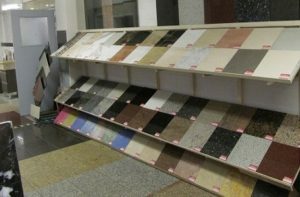 We have a showroom and we have over 200 colours in stock. We work with a variety of clients ranging from designers and architects to stonemasons and end users. Our stone has been used in shopping centres, banks and in some of London’s most exclusive homes and apartments. We are a family run business that provides a first class service. Please get in touch today to discuss your needs on 020 8452 6331 or via email. Visit our Showroom where we have over 200 colours in stock. All our stock is available to purchase today. Our slabs are kept in the yard and please visit us to inspect the quality of our stone.